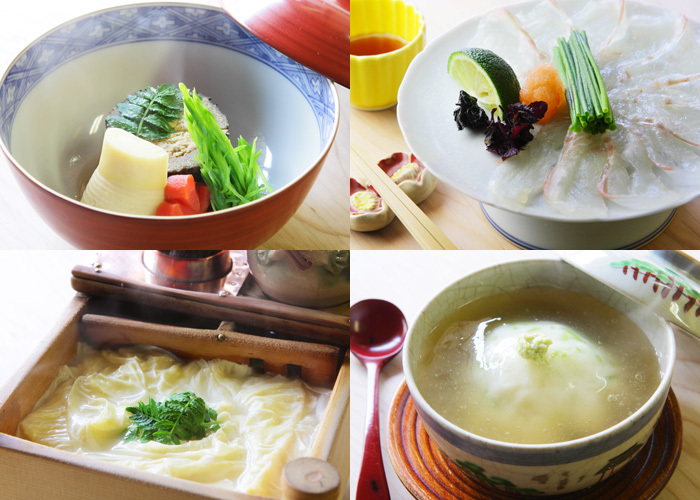 We are pleased to provide you a gem of Japanese food culture, nurtured by the rich tradition through the ages and seasonal beauty of nature. 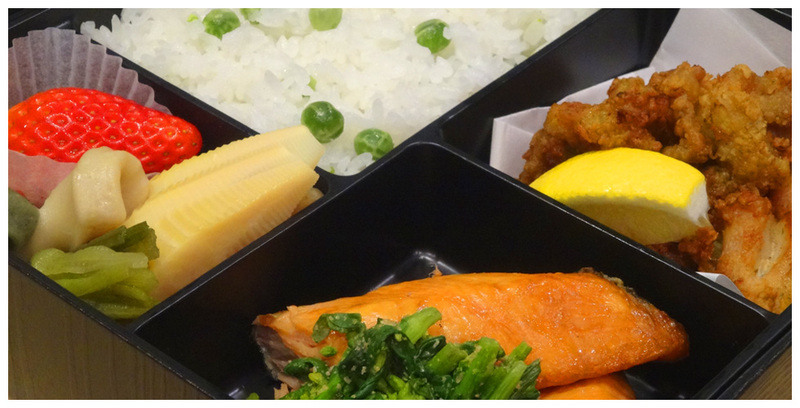 Our Japanese boxed lunches have been especially prepared for Muslims to enjoy! 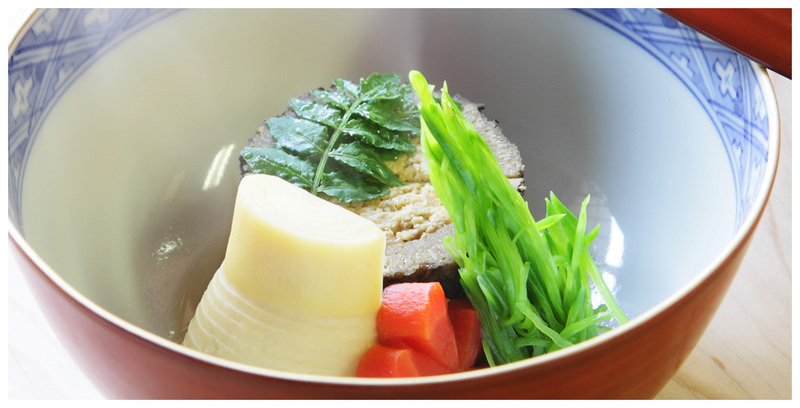 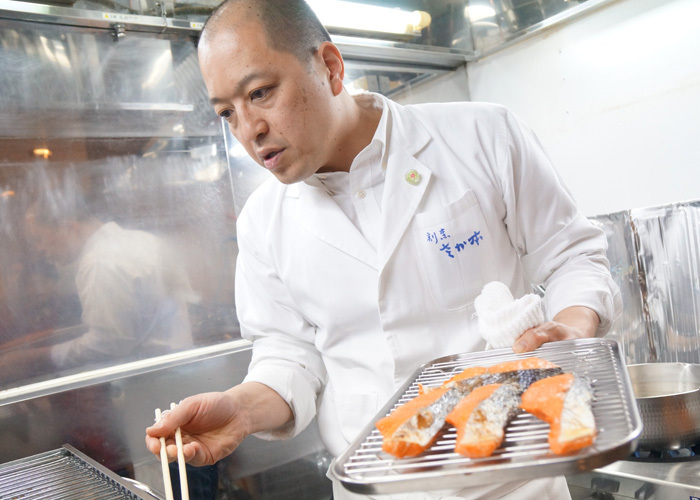 Supervised by Kyoto's Michelin-starred Restaurant "Kappo Sakamoto"
Our cuisine has been supervised by the owner-chef of the Michelin-starred "Kappo Sakamoto" in Kyoto, a city well known for its luxurious foods. 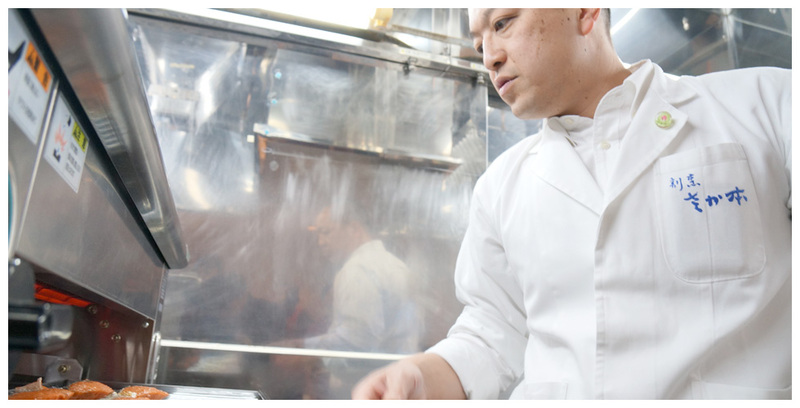 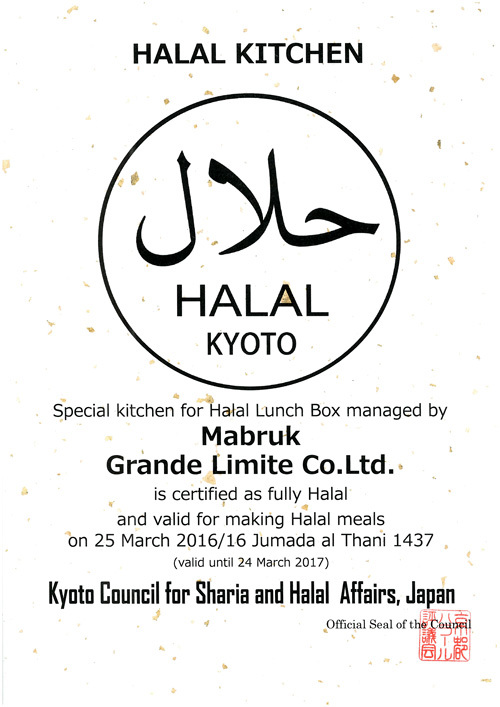 Please savor our finest dishes with a variety of fresh Japanese ingredients, delicately and heartily prepared in Halal certified kitchens. 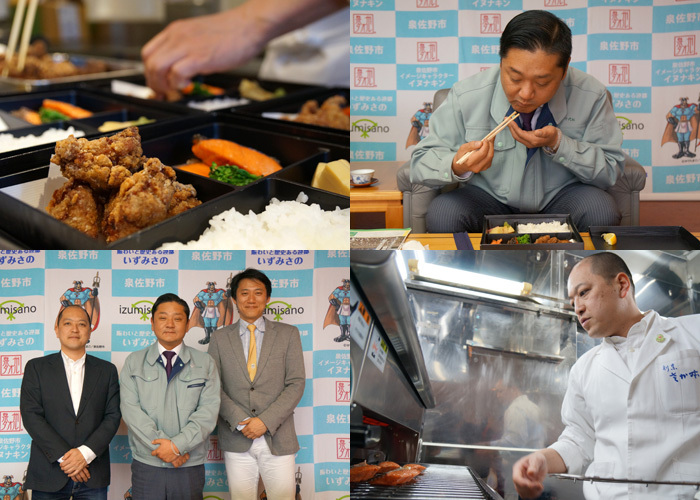 On March 18, before the opening of our store "Mabruk", the mayor of Izumisano City enjoyed our Halal boxed lunch supervised by Mr. Ryuta Sakamoto, the owner-chef of "Kappo Sakamoto".